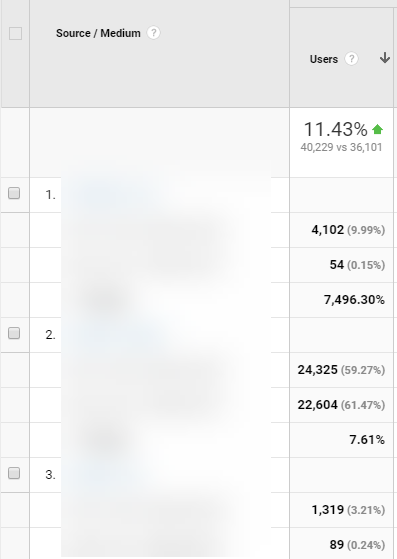 I have 3 Google Analytics analysis tips that I share with every new hire in the Seer’s Analytics division, that I feel are critical for the success of any beginner doing analysis and searching for actionable insights. I’ve found, through my time analyzing data, that there are three basic tools any analyst can and should use to find these insights. 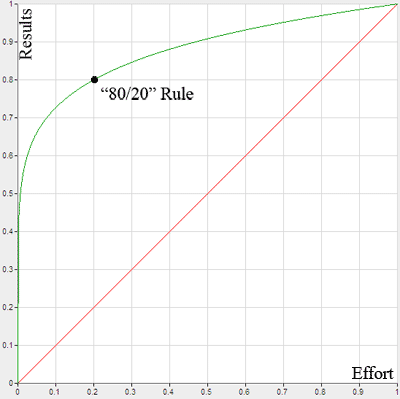 For anyone familiar with the Pareto Principle, I think this is the analytics version of that. 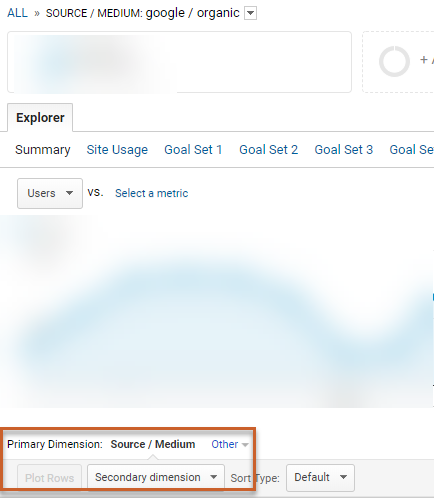 With 20% of the functionality in Google Analytics, you can extract 80% of your analysis value. To our new hires, I argue, that these are tips that can automatically put you in the top 20% of everyone who looks at their GA data. With that in mind, let’s dig into the tips! 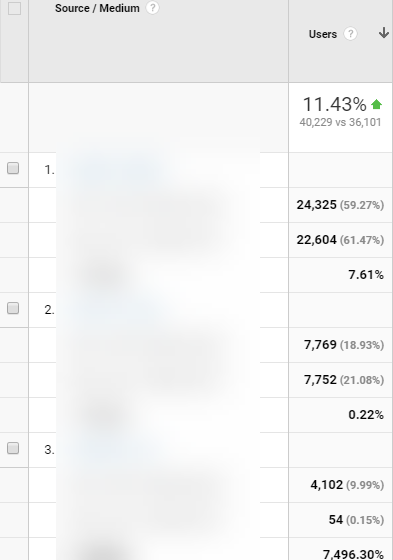 For anyone familiar with the role that dimensions play in Google Analytics, these are any areas that describe the data that you are looking at (while metrics show the volume/rates/value of these dimensions). In isolation, each dimension is useful in and of itself – you need Source / Medium to see how traffic is getting to your site, Landing Page to know where they are starting, and Goal Completion Location to know where they converted. But, the true power of dimension value comes not in isolation, but in combination. Think of it this way – if you are standing outside of a pyramid (and had the right tools), you can likely roughly describe elements about it. How many bricks there are, the color, the height/width/length, etc. But the true power comes from digging deeper. If you step inside the pyramid, you can see how the previously hidden aspects (what’s inside, volume, etc.) combine with what you can see on the surface, and find the relation of the elements to each other. By combining two dimensions together, like Source / Medium and Landing Page, you can not only see how the user got to your site, but where they started their journey on your site. If you click into a dimension value, and then switch the primary dimension and secondary dimension, you can essentially “buy yourself” an extra dimension in the interface. But, honestly, assuming you have the same analytics scope (hit, session or user) on each dimension, nearly all combinations can be valuable. If you need more than three dimensions for analysis, I’d recommend to use the Sheets API (up to 7 at once) or Data Studio. 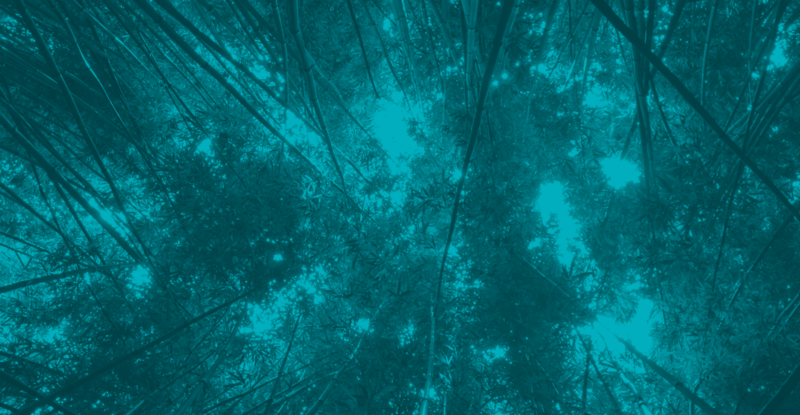 Once you’ve mastered the art of using secondary dimensions, it is on to filtering that data. Filters limit the data that you are analyzing to only the data you need/want to see, which makes it an invaluable tool. This will return all users who start on a blog page from non-organic sources. I’m sure you can think of many scenarios for how this include + exclude scenario can be useful. Not only that, but you can also use these filters on metrics as well, which can be powerful to limit your data further. I typically find myself using this for setting traffic, bounce rate, or conversion rate “thresholds” for my data. Imagine how tailored you can make your data with these filter options, and by drilling down into these items with secondary dimensions before, your filter options/value increase even further! This is perhaps my favorite of the three tips, and the least known among the three. This is another “hidden in plain sight” option in GA, which is only available when comparing data over multiple date ranges. Data is best analyzed in a contextual and historical manner, and this tip helps you extract the most value from that. When looked at within that framework, this tool is at the backbone of any type of weekly/monthly/quarterly/recurring analysis with comparable date ranges. You see there is a large increase in total sessions MoM. You go to your Source / Medium report, and using Absolute Change sort, you isolate the increase to Organic and Email sources. You use your advanced filter to return only those two mediums (ends with criteria). You then use Landing Page as a secondary dimension to see what pages these sessions were driven to. By using your Absolute Change sort again, you then see that your Organic boost was from new content you published and your Email boost led to a ton of new conversions (and $ in the process!). Your actionable insights from this lead you to find new ways to promote the new content and also scale the Email delivery methods to future communications. Data is only as good as it is actionable and this is your roadmap to getting your data into an actionable state. Going back to the pyramid example, you can know some things just from standing outside, but the true value comes from digging down deeper. With that note – what will you find in your data: the riches of King Tut or a broken-down shrine that you can fix?